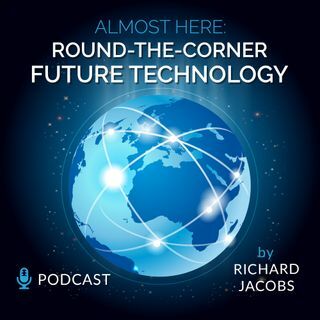 Hirander Misra, Founder and Co-Chairman of FinComEco joins future tech podcast to discuss the importance of providing financial and technical solutions to Farmers in Africa. FinComEco is a financial and commodities ecosystem – aiming to improve food security and economic diversity by providing the most current business and technological solutions tailored for each country whilst providing economic growth opportunities to all participants, from the local smallholder subsistence farmer upwards in ... See More a commercial manner. Their solution of leveraging and enhancing the current logistics, warehousing and standards within Africa (and eventually other countries) establishes a fully vitalized agricultural ecosystem efficiently linking supply and demand underpinned by innovative blockchain technology. FinComEco, fosters financial inclusion with social responsibility by delivering a holistic secure cloud-enabled financial agri-ecosystem in collaboration with local stake-holders, development organizations, governments, research bodies and the private sector.